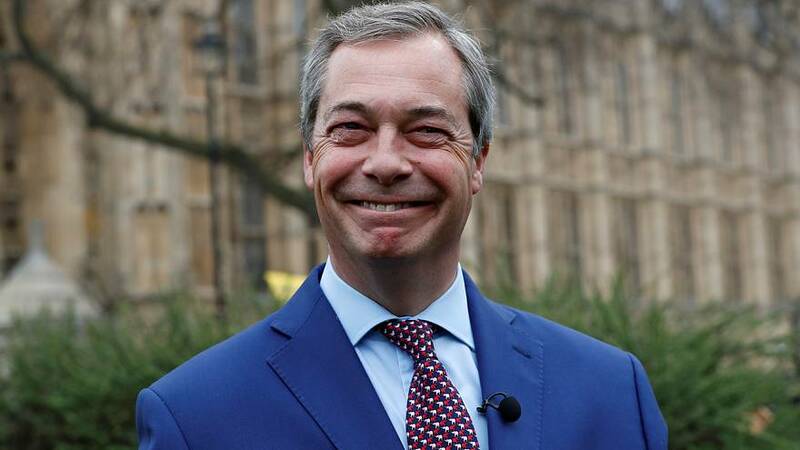 British politician Nigel Farage said he has not been contacted by the FBI and dismissed reports he was a “person of interest” in an inquiry into possible collusion between Russia and Donald Trump’s 2016 presidential campaign. The Guardian newspaper said the former Ukip leader had “raised the interest” of FBI investigators due to his connections with Trump and Julian Assange’s WikiLeaks, which published leaked emails from the U.S. Democratic National Committee during the campaign. In response to the Guardian article, it has taken me a long time to finish reading because I am laughing so much at this fake news. But the high-profile Brexit campaigner told the BBC it was “complete fabrication”. The Guardian reported that Farage had not been accused of wrongdoing and was not a suspect or a target of the U.S. investigation. But it said he was “right in the middle” of the relationships being looked at. U.S. officials have previously said they were unaware of any serious FBI interest in Farage. Farage told the BBC radio programme that there was no evidence that the Guardian’s source for its story was from within the FBI, and said he had met Assange only once. He also said he suspected the leaked emails came from a source among the Democrats rather than Russia. Former FBI Director James Comey is due to testify to Congress next week. Comey was leading the FBI investigation when Trump fired him last month.